Tabaco, Philippines – 8 September 2018. 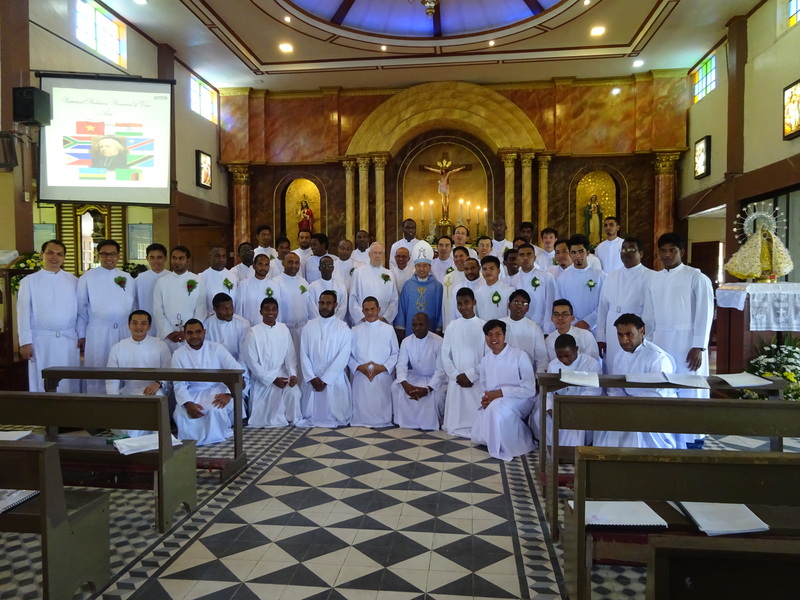 Following a week of retreat at the International Formation House in Tabaco, 21 novices professed their first vows, 3 brothers professed their perpetual vows, and 2 brothers renewed their vows. The vows were received by Bro. René Stockman, Superior General of the Brothers of Charity, who also led the retreat. Mgr. Joel Baylon, Bishop of Legazpi, presided at the celebration of the Eucharist. The newly professed brothers hail from India, Pakistan, Vietnam, Papua New Guinea, Indonesia, Congo, Rwanda, and Zambia. The three brothers who made a perpetual commitment to the Congregation are from the Philippines and Pakistan. The brothers who renewed their vows are both from the Philippines. We wish all newcomers to the Congregation perseverance and profound joy, that they may live and experience the charism of charity with God’s grace and in their very own way.